There are many things that I like about this cube. The 60mm size feels great in the hands. It is a very fast and usable cube. Over all other 4x4s on the market it was the cube of choice for my first competition. I have only had one major pop on it on my standard tensions. If you are look for a good 4x4 this one can easily be considered one of the best. The Cyclone Boys G4 4x4 is considered a budget 4x4. Is it any good for its surprisingly low price? This cube is very fast, and slightly sandy. Out of the box, it was very swishy and the pieces just glided across each other. After breaking it in, then lubing add tensioning it, it became very smooth and fast, but also very slightly bumpy, which is a feel that I enjoy. Because of the amazing feel that this cube offers, it just makes me want to pick it up and play with it, definitely a positive point. This cube has never had a significant pop and has never corner twisted. 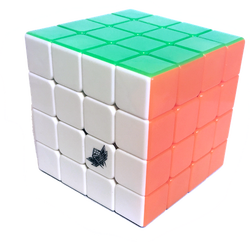 It is very stable making itan excellent choice for beginners and world class speed cubers alike. This cube is affordable. While price can vary, the G4 is still very affordable, especially compared to the over 20 dollar Moyu Aosu. Now unfortunately, this cube presented some minor problems. None of these are deal breakers, but can be annoying. Assembly can be difficult for people who can't properly assemble 4x4s. The inner edge pieces lock together using a. 3 inner edge piece design per set. 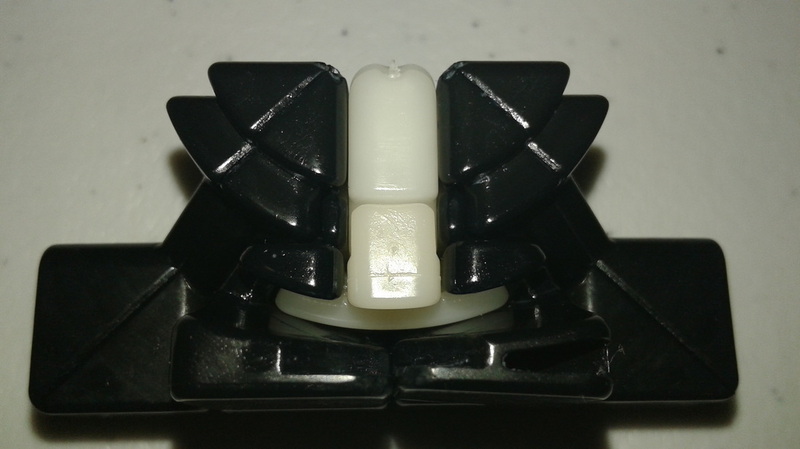 Also, the pieces are so tight, it can be tough to fit asdf of the pieces without bothering the others. So overall, the G4 is a great cube for anyone. It its stable, flows fairly well, and has an amazing feel. While reverse corner cutting can be limited, the G4 is actually my main, over the Aosu. I highly recommend the G4. This is a mix between the mini AoSu and the old Cyclone Boys. The outer layers are still a bit smoother than the inner ones but it is not as obvious. The pieces have much bigger holes allowing for much better corner cutting than it's predecessor. This is a great cube but I am not a fan of the smaller size.